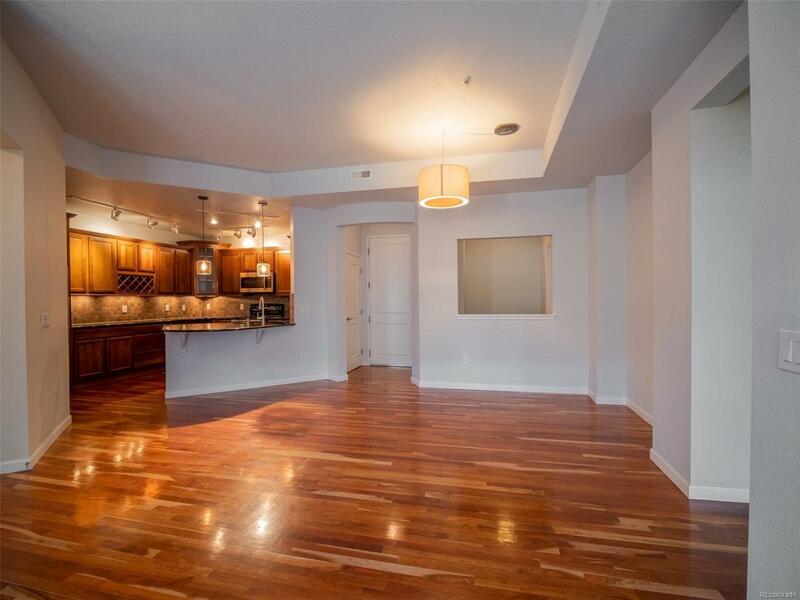 Welcome to the beautifully finished second floor condo in the Vallagio! The first thing you will notice is the wonderful hardwood floors leading into the main living area. The open floor plan allows in plenty of natural lighting. Enjoy entertaining guests out of the upscale kitchen with granite counter tops and stainless steel appliances. This unit is completely move in ready and just waiting for your designer touches. The Vallagio complex offers many amenities not found in other units. The building is completely secure with large, sweeping halls. The unit includes underground garage parking for two cars, as well as a separate storage area across from the unit.